Welcome to Max Agency - one of the most successful model and talent management agencies in Canada representing men, women and children. Max Agency is involved in providing actors, models and entertainers for the film, television, fashion and advertising industries as well as appearance in trade shows, promotions and special events. Max Agency has a team of dedicated professionals that know the ins and outs of the fashion and modeling game. Whether the talent is an established face with a working portfolio or someone who is unsure of their ability to work in the industry, Max Agency provides qualitative evaluation to find the right fit for an individual’s career goals. Max Agency's ability to recognize and identify new talent from around the world has positioned it at the forefront of model management and talent discovery. We have a wealth of experience and knowledge in the fashion, modeling and entertainment industries resulting in it expertly overseeing the careers of a wide variety of models and talents. If you are a new or experienced Toronto model/actor who would like the benefits of working with a top model agency in Toronto, then Max Agency is your modeling agent. As one of the top modeling agencies in Toronto, we make it easier for Toronto models to break into the modeling industry and be seen by top agents and clients. With an emphasis on personal detail & development, new Toronto models and actors receive the attention needed to achieve success. We help Toronto models realize their full potential. 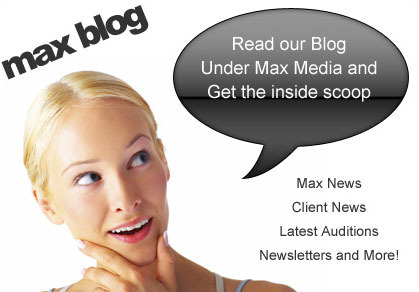 Are you interested in being part of Max Agency? If you think you have what it takes to become a professional model/talent or background performer, please send us your filled-in Application Form with accurate information and stats and we will contact you within 72 hours. MAX Agency is one of the most successful model and talent management companies in Canada representing women, men and children throughout Toronto, Montreal and Vancouver.